When you have an ant problem, you really know it. Ants stream in from doors or windows, or sometimes they just appear on kitchen surfaces or in your pantry or cabinets without any sign of how they got in. But once they’re in your home, ant extermination becomes a must before the infestation gets any worse. Universal Pest & Termite offers highly effective pest and ant control in Hampton, VA, and surrounding cities. There are many types of DIY ant control products, but they don’t work equally well on all species of ants. There are many types of ants that can set up a colony in your home. 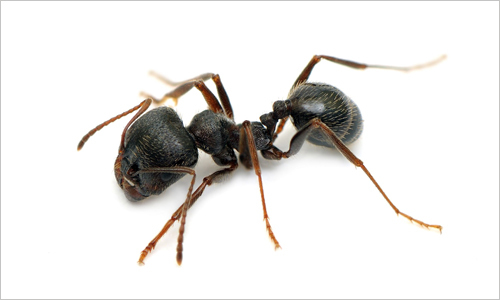 If you see winged ants, it’s time to call the ant exterminators at Universal Pest right away. That’s because winged ants are often a sign that a new colony is being established. A colony can contain as many as 300,000-500,000 ants. That’s not something you want sharing your home with your family. For truly effective ant extermination in Hampton, trust Universal Pest & Termite. We make sure to not only kill the ants you see but also destroy the colony so the ants will not come back. Give us a call today before your ant infestation gets any worse! We believe the logical solution to organic pest control is to create a balance of organisms in your yard or garden. In a diverse ecosystem, pest population is regulated naturally. Development of this balance relies on products that minimize harm to pollinators and other beneficial insects. Traps & Pheromone Lures are used to identify the presence of pests, and to help control them. Universal Pest & Termite offers all-natural pest control solutions in Hampton Virginia. Natural pest control services offered by Universal Pest & Termite can perform as well as and sometimes even better than chemical pesticides, while being non-toxic, safe, and fit your budget. Some think of green pest control as a weakened approach to extermination. However, this could not be further from the truth. 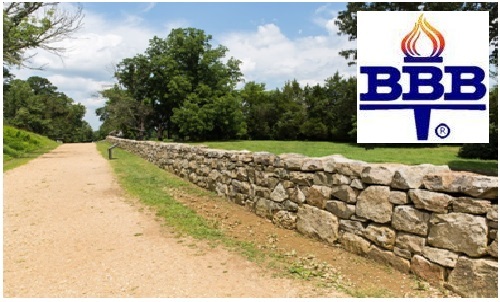 With an A+ rating from the BBB, Universal Pest & Termite offers a truly full-service option in Hampton Va. Such as general pest control for rodents, ants, roaches, spiders, termite control and termite treatments etc. All services performed in-house, and all employees are background checked prior to hiring. Hampton, established in 1609, is the country’s first continuously occupied, English- speaking settlement. Until disarmament in 1946, the areas protected by the fort were the entire Chesapeake Bay and Potomac River regions.